Keema is a wonderful versatile Indian dish that is very easy to prepare and is incredibly delicious! Ever heard of lamb Keema before? It’s a lovely Indian dish that is made with lamb mince and can be used as a base for so many tasty recipes. When you get home after a long day and you’re tired, you want to have something that is guaranteed to be filling and satisfying. So I was speaking to my Mum the other day, and we were talking about how we should start trying new dishes that are easy and quick to make. And I’m glad that Simply Beef & Lamb launched the Keema Sutra campaign this month, as we got the chance to try the wonderful lamb Keema recipe. 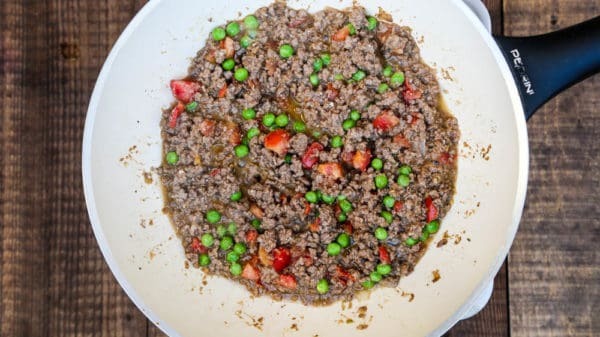 Simply Beef & Lamb are on a mission to remind the nation about this wonderful dish, how versatile it is, how the lamb mince is affordable and is a great way to switch up boring meals to feed the whole family! 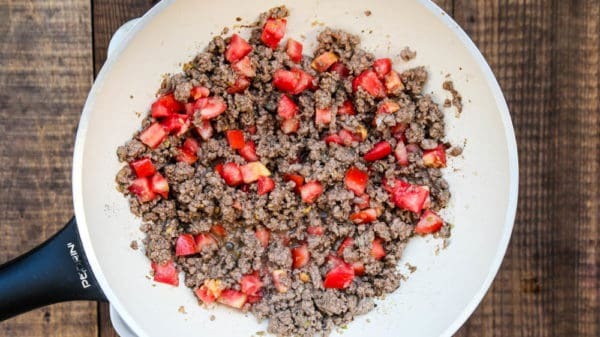 This recipe that I’m sharing with you today is inspired by one of the recipes from the flip book by the Keema Nans, I cooked it up yesterday and the whole family loved it! I also love the fact that you can make so many things with it not just eat it with rice or naan bread (check out this super easy naan bread recipe! ), but you can also make Keema pancakes, nachos, lasagna, pies, tacos or toasties. I love the idea as nothing ever goes to waste with this dish. If there are any leftovers, there are so many things that you can do with them. So today I’ll be making toasties as I don’t have much Keema left and the amount is just perfect for toasties. What’s so special about this lamb keema is the ginger chilli onion mixture. It adds sooo much to the flavour and gives a really interesting taste to your meat. Simply make a paste by placing ginger, chilli, and onion in a food processor. Then transfer it to a deep pan, cook on heated oil until fragrant. Add crushed garlic and cook for one more minute. Add minced lamb with garam masala, and let it cook. I usually use my wooden spoon to stir and break down the mince. Then add chopped tomatoes, cook them and stir in yogurt. At this point, you can season with salt and ground black pepper then add a little bit of water and cook for 5 more minutes. Add fresh or frozen peas, reduce heat and cook uncovered for 10 more minutes. Serve warm with freshly baked naan bread or rice. I also created a recipe video for my lamb Keema to show you how easy and quick is this recipe to make. 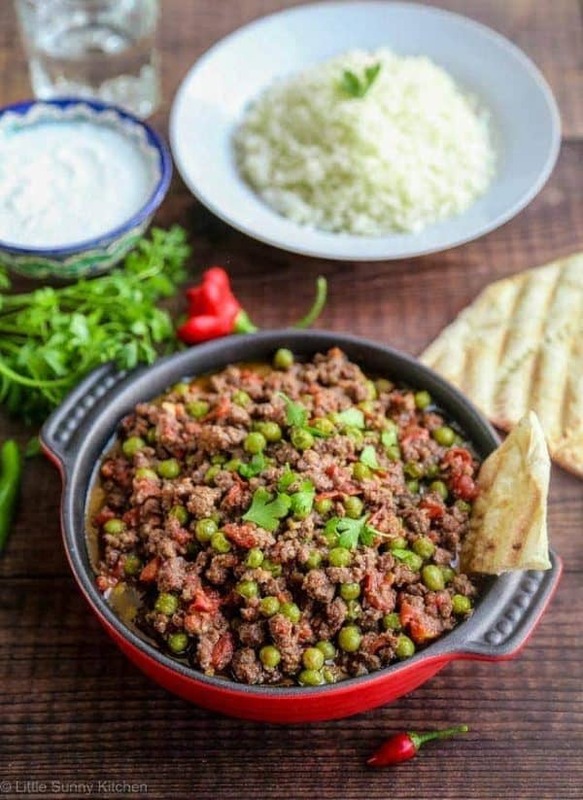 This is the classic lamb Keema which can be used as a base to turn into many different recipes or enjoyed as it is with a spoon, with white rice on the side or with naan bread. I hope that you will give this recipe a try. If you make this Keema, please don’t forget to rate this recipe and share a picture on social media. Tag #LittleSunnyKitchen in your posts as I would really love to see your creations! Keema is a wonderful versatile Indian lamb dish that is very easy to prepare and is incredibly delicious! 50 grams green peas fresh or frozen. Place the onion, ginger and green chilli in a food processor to make a paste. Heat oil in a pan or a wok, add the paste and sauté for a minute. Add crushed garlic and sauté until garlic is fragrant. Add the minced lamb, using a wooden spoon start breaking the meat and brown it. Add garam masala and continue cooking. Stirring occasionally. Add chopped tomatoes, and cook for one minute. Followed by plain yoghurt and mix it in. Season with salt, black pepper and add some water and let it cook for 5 minutes. Add fresh or frozen peas, reduce heat and cook uncovered for 10 minutes. Serve with white rice or fresh naan. This lamb Keema can be stored in the freezer in a plastic container for up to 3 months. This post is in collaboration with Simply Beef & Lamb. Thank you for supporting the brands that make Little Sunny Kitchen happen. All opinions are my own. I love mince recipes. One pan and freezer food, everything I like. I’ll try this one instead of my usual bobotie. Great video! And I can see where this would be a tasty base for all sorts of dishes. It’s definitely a good recipe to have on hand. We’re big Indian food fans, but for some reason I’ve never come across this dish, thanks for the yummy introduction! I love a versatile recipe that you can use in a million different ways. I’ve heard of keema naan before but never heard of it in any other context. I really enjoy lamb and don’t have many recipes in my arsenal for how to prepare and enjoy. This one looks easy to prepare and delicious for the whole family. I will have to try this soon. Love the video! This looks like a wonderfully hearty dish, perfect for the colder weather. Lamb Keema is now definitely one of these dishes! It’s a great recipe for busy people who work all day, and want to enjoy a lovely filling meal when they get home. This looks really good. I think it would be a hit with my family! You have to try it, I’m pretty sure that your family are gonna love it as well! 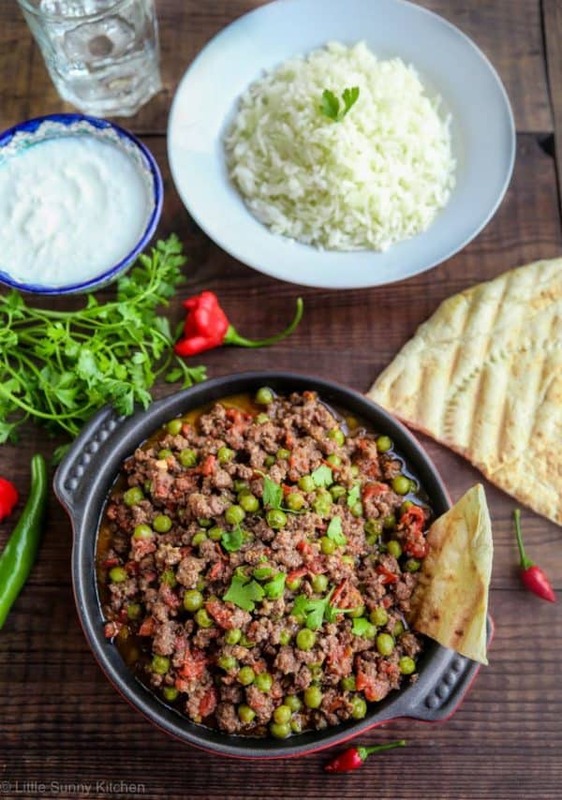 I absolutely love lamb and this Lamb Keema looks easy to put together and absolutely delicious! So many wonderful flavors – can’t wait to give it a try! It’s a wonderfully flavourful and filling dish. I really want to try and make a Keema pasta bake! We’ve been cooking with lamb a lot lately. This is one recipe that I’ve never heard of but am anxious to try. Thanks. Give it a try, it’s REALLY good!